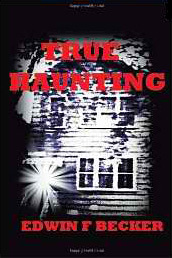 Most seasoned investigators know that these spirits or ghosts love to feed off of energy. Given access to electricity, they will flicker your lights, turn TV's and radios on and off and play all kinds of tricks. When there is no power in a building, they go after the batteries. When we filmed our Paranormal Witness segment, we were in a sound proof studio and all went dark as the power went off. After 10 seconds the producer found the door and began throwing a fit, to which the studio manager assured him a power loss was impossible! The producer didn't understand it...but I did. All this as we know is common. Here is the warning. When taking along an observer, or conducting a tour of a confirmed haunted location, all should be warned of this possibility. Many people have batteries that they depend on to live! Whether they have hearing aids, or more seriously, pacemakers or defibrillators, they can be at great risk. In some cases their lives depend on these devices. Don't think it's just old geezers like me, because the youngest person I know using a pacemaker is only 24. The person with the hearing aid will know and it will not be fatal, but the other devices will only become obvious when needed and that could cause a death. Imagine the energy that could be drawn from a pacemaker with a 10 year battery life! Be responsible. When conducting a tour, ask that question! Do not allow people whose life depends on a battery to participate even if they are dumb enough to try.